About | Tamoda Apparel, inc.
Tamoda Apparel, inc. was founded in 1998 and became the leader in technical apparel manufacturing and development for such customers as: The Orvis Company, Prana, Cabelas, Gander Mountain, Eddie Bauer, Lowe Alpine, Pearl Izumi, and virtually every other company in the outdoor industry. 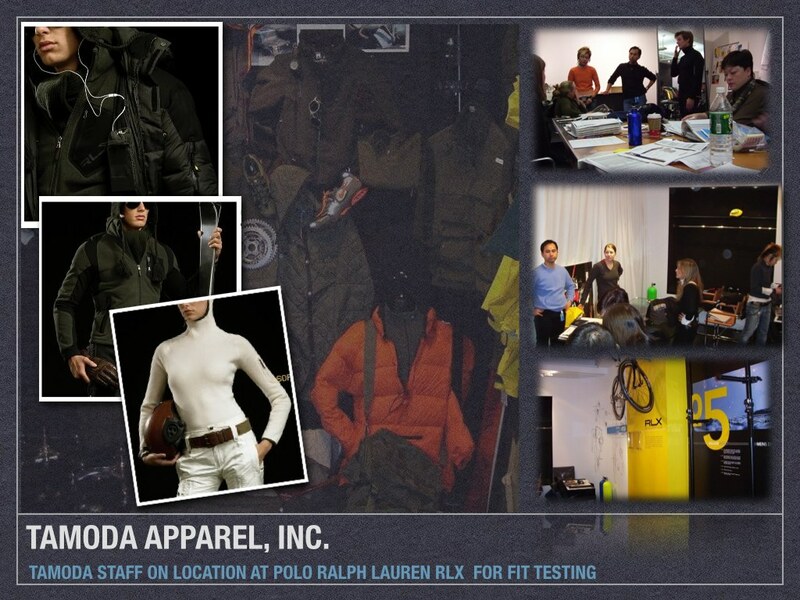 Tamoda served as the official training ground of Eddie Bauer where Product Managers from various departments had the opportunity to spend an entire day at Tamoda seeing all operations of an apparel factory and having their questions answered. John Catlin of Eddie Bauer Sourcing who was instrumental in setting up the program felt it was integral to the success of each sourcing manager to see all aspects of a manufacturing operation to include development, manufacturing, shipping, and payment. Tamoda was the perfect environment for this endeavor. The same program was implemented by HSBC Bank where managers from all over the world would spend a day at Tamoda to better understand the needs of their banking customers. Tamoda Apparel, inc. specializes in all types of technical outerwear to include: Base layer, fleece outerwear, soft-shell jackets, seam sealed jackets and pants, and various other products. We have a complete down jacket department incorporating the latest in computerized down filling machines. In regards to seam sealing and glueing and welding, Tamoda has invented a special heating and cooling process that ensures a stronger bond of fabrics than the traditional heat only process.